This is another one of those projects waiting a long time to get done. 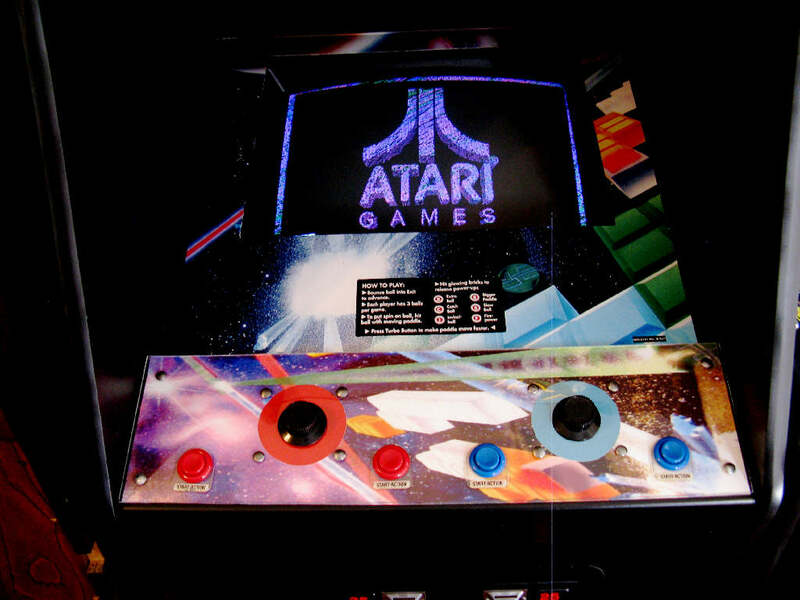 Purchased as part of a lot, a conversion game in a Galaxian cabinet. The game worked with a very nice monitor, no screen burn. The outside of the cabinet painted black but really beat up, I wanted to strip it down to wood. However, given the florida heat in the summer that idea was tabled. The cabinet was cleaned, damage repaired, repainted, and rubber wheels added. 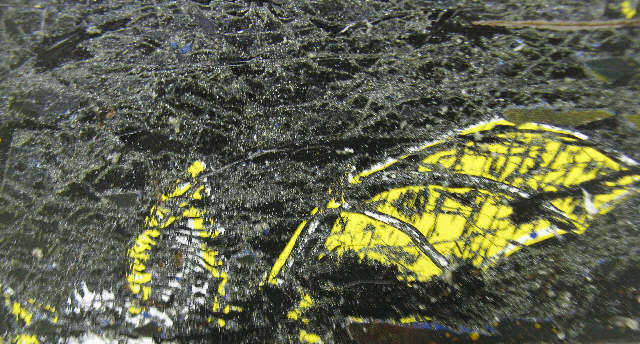 The original art on the CP was in poor shape as was the plexi overlay, and the marquee. A reproduction marquee was installed, along with new T molding. Here is the original CP and overlay including a plexi cover. It's discolored from sun and smoke. Given the screen setup, I flipped the controls and buttons, the circles under the controls are separate pictures. The art was created for the panel, it differs from the original. Here are a couple of photos of what was under the off the wall overlay when it was removed. the Off The Wall. If anyone knows what this was let me know. The panel was stripped down to metal and repainted. Finally created art and a New plexi was cut with new holes to protect it. I was not able to find either an original or reproduction of the CP overlay or monitor surround for this kit, so I made them. The original CP overlay would have come down over the lip of the CP, I covered my printed art with a plexi to protect it and painted the CP black. The monitor surround is a bit customized further, since the monitor is mounted high in this cabinet not in the center. An online image was used of the surround and new graphics on the bottom added to increase it's height there. That's it, Done....after 10 years in storage. 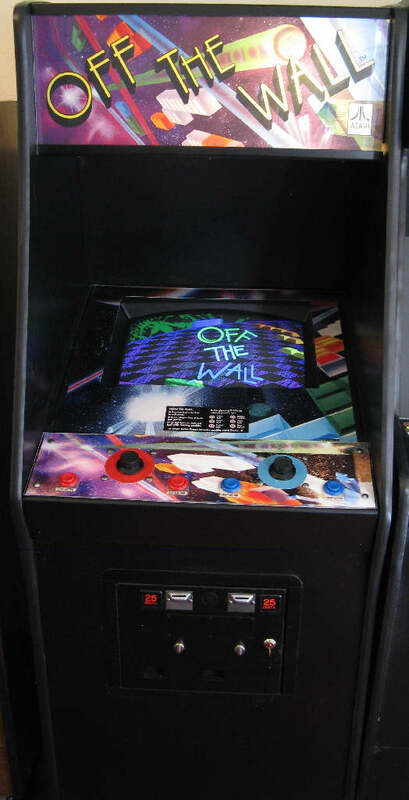 ATARI Off The Wall was released in October 1991 as a conversion kit only. Only 500 kits where produced in the USA and 250 in Ireland. A total of 750 worldwide. The selling price was $895 at its time of release.